Justin Bieber Disses Prince William’s Hair! Justin Bieber better watch his back because he’s been talking some serious smack about my boy Prince William and I am not liking his tone! Apparently the Biebs dissed Will’s thinning hairline in a new interview for Rollacoaster magazine. Yes, Bieber they do and I’m sure they’re asking if we have manners over here. 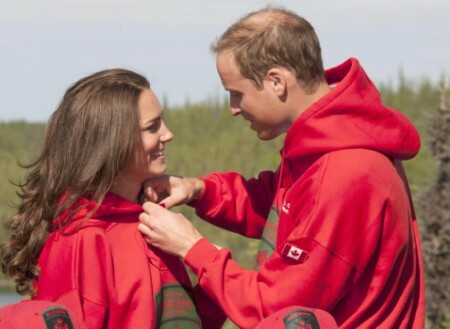 Luckily Prince William has always been a good sport about his increasing bald spot, but if I were William and ever found myself in the same room with Bieber, I would stand as uncomfortably close to him as I could and just look down. Will has quite a few inches on the teenybopper. I would much rather date someone tall than someone with a full head of hair. Oh, and I would much rather marry a prince than a spoiled, marginally talent singer, just saying. And thanks for the advice Biebs but maybe Wills has more important things on his mind other than his thinning hairline like becoming King, the Olympics or his wife’s chummy relationship with his brother? Can you imagine if his hair started magically growing back and he showed up at some event looking like a busted John Travolta? That is one of the problems of being in the spotlight your entire life, everyone knows what you look like and they know when you’ve been experimenting with your mane (see also Ben Affleck). What do you make of Justin Bieber’s comments? Should we lay off because he was just trying to be funny or is the Boyfriend singer’s mouth getting him in a hairy situation with a future King?